If you have wondered what those pretty pink shrubs are in spring wonder no longer. If the blooms are bright pink and single on short shrubs they are probably Russian Almonds (Prunus tenella). 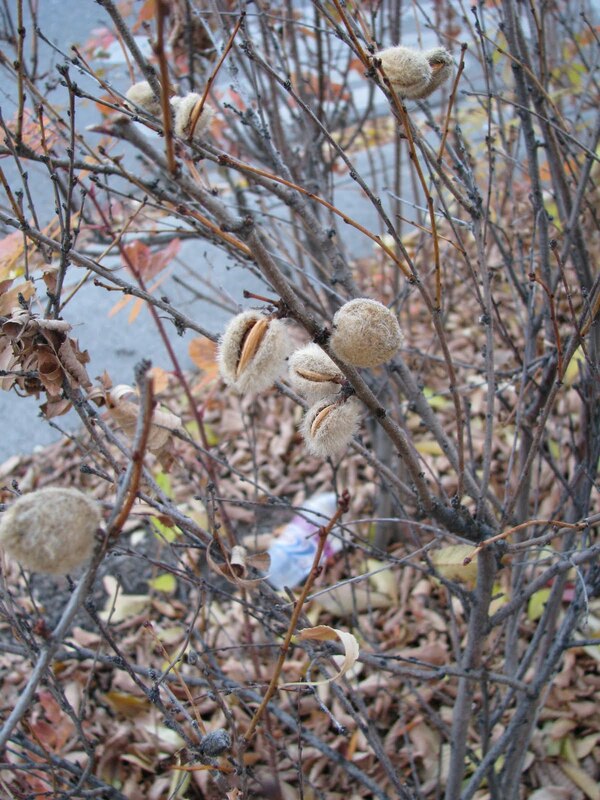 And believe it or not these Russian Almonds are edible. This seems to have been a particularly good season for almonds on the great plains and while out dog walking I noticed the seeds were bursting open. Upon closer inspection it was not the seeds but the seed cases. The seeds were not an easy nut to crack. It took a bit of ingenuity and finally I decided on the best course of action. I asked my husband to do it. My sister thought they tasted like Amaretto. I thought they were bitter and intense with a long dwindling aftertaste. My husband loved them. 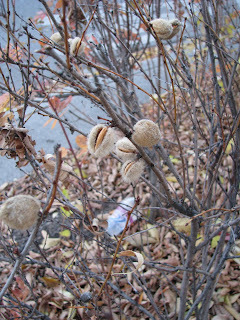 In any case if you see small almonds ripening on short shrubs, give them a taste. They are ready now and you wouldn't want the squirrels to get them all! The small Russian almond seed cases are smaller than a penny. The actual "almonds" inside are smaller yet and the taste is more powerful too. I've been wondering if these small almonds are safe to eat without processing them.